Zeynab Jalalian is a Kurdish woman in the beginning of her thirties who was arrested in May 2008 in Kermanshah for her alleged membership of an illegal Kurdish opposition party within Iran and charged with “enmity against God”. 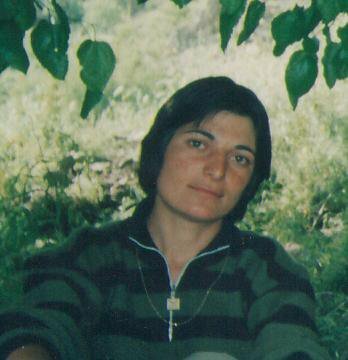 Around January 2009, the Islamic Revolutionary Court in Iran sentenced Zeynab Jalalian to death in a trial that lasted only a few minutes. She was not allowed to communicate with her lawyer during the trial. The Supreme Court confirmed her death sentence on November 26th, 2009. In March 2010, Zeynab was moved from the prison in Kermanshah to an unknown location that according to Amnesty International was likely to have been a detention center under the control of the Ministry of Intelligence. Jalalian was later tranferred to Section 209 of Evin Prison in Tehran. Recent reports about Zeynab claim she is currently kept imprisoned at the Kermanshah Central Prison, also known as the Diesel-Abad Prison. In December 2011, Zeynab’s death sentence was changed to life imprisonment. The beating and torture inflicted on her by prison authorities during her years in prison has caused severely deteriorated internal bleeding, infection and bowel problems. Blows to her head during interrogation reportedly caused her impaired vision; it has since worsened. Amnesty International encourages anyone to send letters demanding that Zeynab Jalalian is given proper and sufficient medical care. We at Alliance for Kurdish Rights have put together a letter that our readers can use freely to take action on behalf of Zeynab Jalalian. I am writing to you to express my concerns regarding Kurdish prisoner Zeynab Jalalian who according to reports is losing her sight due to blows to her head during interrogation yet is denied proper medical care and treatment. I am urging you to give Zeynab Jalalian immediate access to the medical care that she is in need of. I am calling on you to ensure that she is humanely treated and is not subjected to any more torture or other ill treatment. I am also urging you to allow her regular visits from her family. I am calling on you to review her case at a fair and just trial. According to reports, her first trial only lasted a few minutes and she was immediately sentenced to death, which was later commuted to a life sentence. She has been denied contact with her lawyer, which is a clear violation of Principles 17 and 18 of the Body of Principles for the Protection of All Persons under Any Form of Detention or Imprisonment (United Nations). Zeynab Jalalian has according to sources also been subjected to torture and denial of medical treatment, a violation prohibited by Article 7 of the Civil and Political Rights (ICCPR), which the Islamic Republic of Iran ratified on 24 June 1975. I hope that you will give positive consideration to reconsider the case of Zeynab Jalalian. As suggested by Amnesty International, we also encourage you to send the letter to diplomatic representatives appointed by your country.